It was a thrill to get to listen to Saison De Rouille’s new album, and a curious thrill it was, since I really liked their their album “Caduta Dei Gravi” that we have reviewed in here a while back. 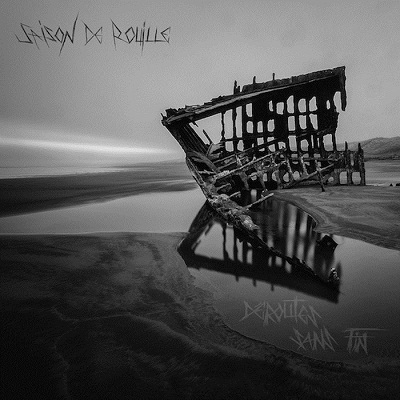 Behind a wonderful and disturbing image that serves as a cover for this album, Saison De Rouille hides a fleet of rusty tanks and metal behemoths who march heavily to the trumpeting, tremendous singing that sounds like deep emotional cries and bombastic avalanches of heaviness. “Déroutes Sans Fin” adds bluesy flags to the barbaric hordes of sound that can be heard on the eight tracks of this album. “L’oiseau De Chrome (Lande I)”, armed to the teeth with heavy and demented music playing, sounds like an insane and inspiring cry on top of monstrous horses of war. The further you go into this album, the more unsettling these great guys sound until you reach the point where the drums, bass, guitars and singing sound like a twisted choir in praise of drunk driving through brick walls. The headache, like this entire album, is fantastic. Saison De Rouille does it again with a great album, released as collaboration between many great labels. Look for this LP, and you should also get their first one as well, while you’re at it.